Polaroid Snap vs. Fujifilm Instax Mini 8: Which Instant Camera Is Better? Even in this age of smartphone selfies and instant social media uploads, there’s still something to be said for snapping a photo and printing it within seconds. These pictures won’t have likes or comments, but they’re meaningful nonetheless. If you’re considering buying an instant photo camera, take a look at our old-is-new-again comparison of two modern, popular models: the Polaroid Snap and the Fujifilm Instax Mini 8. 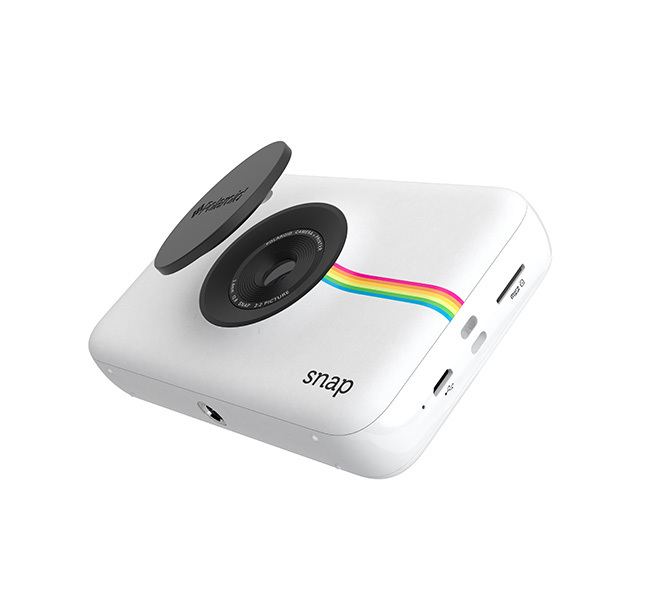 NerdWallet takes you shopping: What makes the Polaroid Snap so appealing is its simplicity. Users don’t need to fiddle with a flash or focus the lens; just look through the pop-up viewfinder and click. The Snap shoots 10-megapixel photos and brings Instagram filters to life with its options for normal, black and white, or vintage sepia tone pictures. It fits a microSD card for up to 32GB of storage. Pick from one of four bold camera colors (white, black, blue and red) and print full-color prints on 2×3-inch paper. Additional noteworthy features include an option to print pictures with the Polaroid Classic Border Logo and a photo booth mode, which can take six rapid-succession pictures within 10 seconds. Good fit for: Tech-driven picture takers. Enjoy the fact that this camera and printer are integrated in one portable design. You can use the self-timer to get yourself in the shot, apply filters for a taste of social media, and take advantage of storage to keep your photos even after you print them. 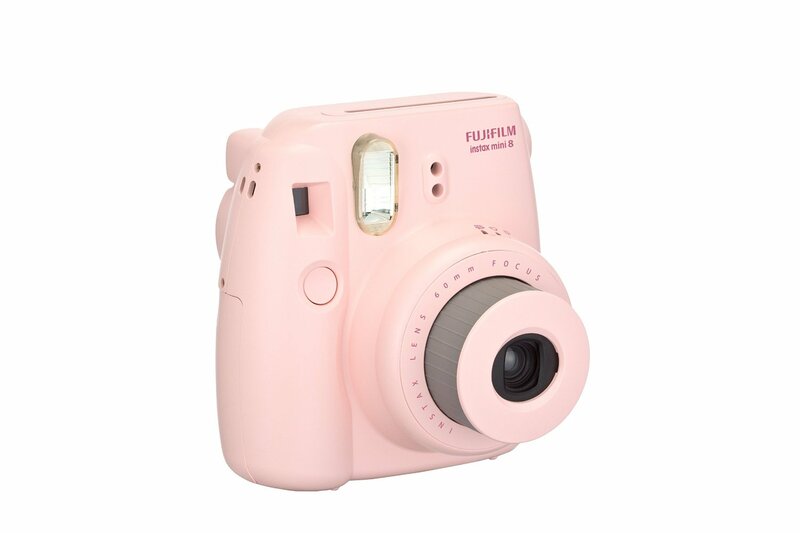 NerdWallet takes you shopping: Despite its instant design, the Fujifilm Instax Mini 8 has features that are reminiscent of a traditional digital camera. It has a fixed shutter speed of 1/60 second, an automatic flash, and a brightness adjustment dial that can be positioned to fit different scenery and weather conditions (indoors/night, cloudy/shade, sunny/slightly cloudy and sunny/bright). There’s also a high key mode that’s capable of producing soft impression photos. The Mini 8 is sold in a variety of bright colors: raspberry, grape, white, pink, blue, yellow and black. It can instantly print 2.4×1.8-inch (62×46 mm) photos. Good fit for: On-the-go amateur photographers. If you’re really into capturing the perfect photo in every location and at any time of day, try the Fujifilm Instax Mini 8. You’ll benefit from the brightness adjustment dial and automatic flash. Whether you’re a fan of Polaroid or Fujifilm, remember that cameras are an investment. Even though you won’t need to purchase a printer for your instant camera, you’ll still need to buy film to keep your pictures printing as fast as you can take them.